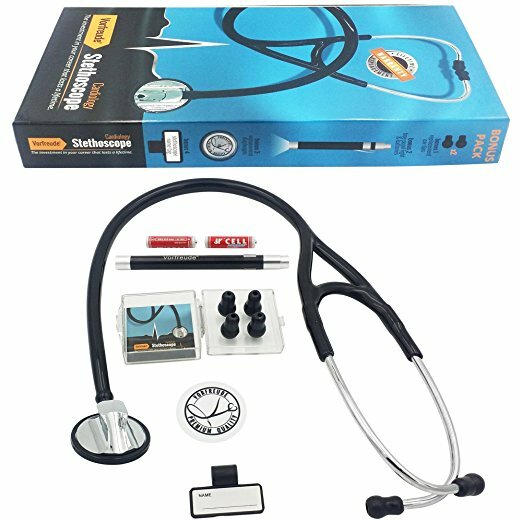 There are several stethoscope brands out there. 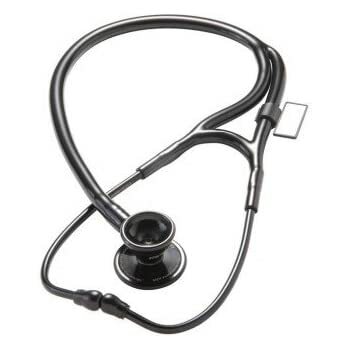 Most of you probably know Littmann as being the lead-name in the world of stethoscopes. However A lot of you won’t have heard of “Vorfreude” or “ThinkLabs“. 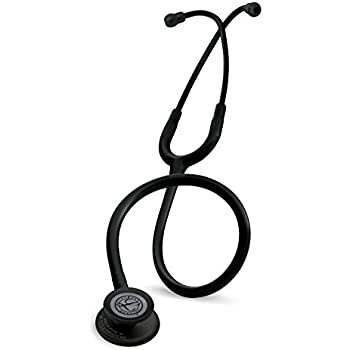 First let’s take a look at the biggest of the stethoscope brands out there: Littmann. 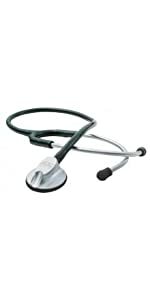 Littmann has quickly become the marketleader in stethoscopes. 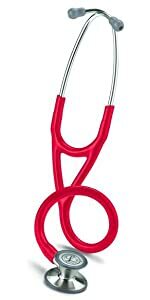 3M bought the patent to make Littmann stethoscopes from doctor Littmann somewhere in the 60’s and they’ve been making them ever since. As a whole 3M is a gigantic company that has processes in place that guarantee superior quality. 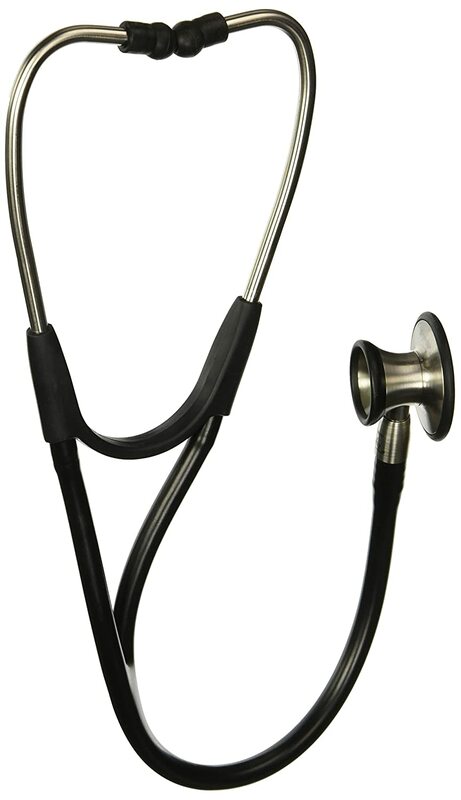 As a result these stethoscopes guarantee you high-quality acoustics. However between the models themselves there are big differences in quality. 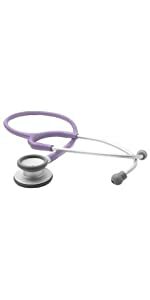 For example a Littmann Classic has been reported to better convey low-frequency sounds than a Littmann LightWeight. As a result I have not listed the LightWeight here either. Among the stethoscope brands there is a new player on the US markets. Vorfreude. 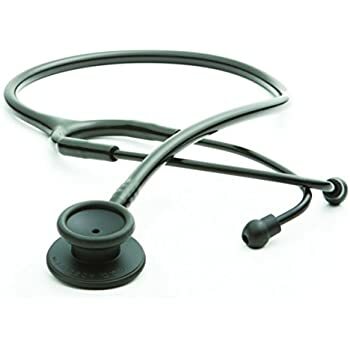 This German engineered stethoscope has been receiving rave reviews both on Amazon and on various online forums. First off the Vorfreude stethoscope is light. About 5 % lighter than a Littmann Master Cardiology. Even though it has the same dimensions! As a result the likelyhood of you having a strained neck is diminished when you carry your Vorfreude around your neck. Additionally the diaphragm edges have a mirror finish to prevent corrosion and pitting. 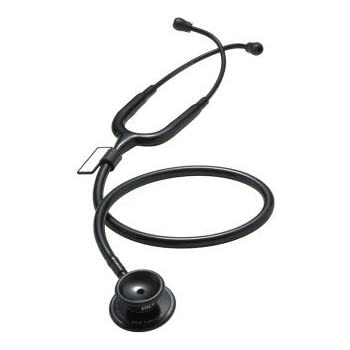 In addition this stethoscope comes in at a fraction of a cost compared to a Littmann. The funny thing is is that the industry is really small. Especially in the stethoscope industry where you have a big player such as Littmann, the smaller fish tend to look what the bigger one is doing and then copy them. 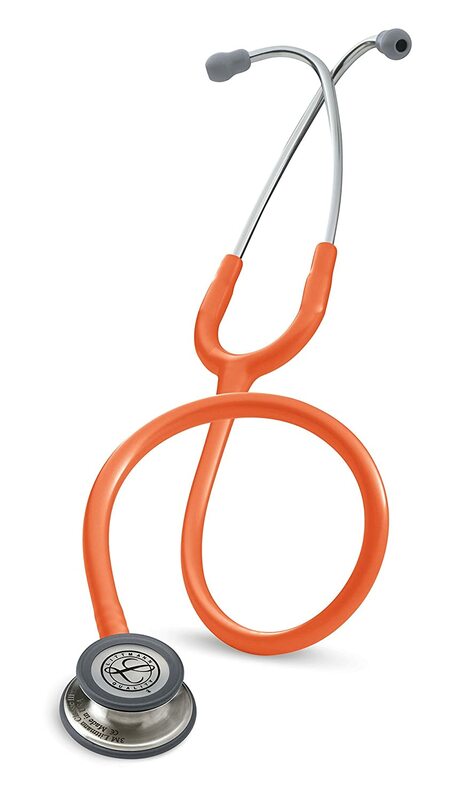 So in the same sense that Littmann has a tunable diaphragm, so does Vorfreude. However they have rebranded their technoogy as “PressFrequency”. But the working principle remains the same in both. The chestpiece does not have a bell-side. Just a diaphragm. Simply press down harder on the chestpiece to hear the high-frequency sounds. Lastly the dual lumen tube design and single head eliminate ambient noise interference. Which is a major plus if you are an EMT. In several reviews online ADC Adscope has gone out to rival Littmann as you can clearly make out from the review video above. 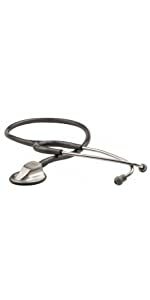 Cost-wise they come in at several multiples less than Littmann. 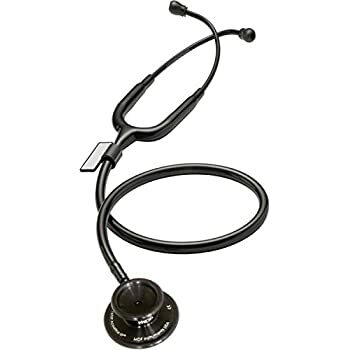 As mentioned in the Vorfreude section also ADC isn’t the biggest player amongst the stethoscope brands and as such tends to copy the technology Littmann brings out. However they can’t call their technology a “tunable” chestpiece since Littmann has the copyrights to that. ADC’s “AFD technology” however does exactly that. If you want to hear more higher frequency sounds simply press down harder on the chestpiece and you’ll be fine! 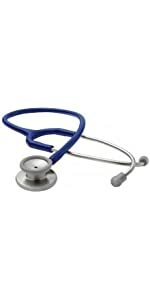 As American as they come, MDF is a small manufacturer stethoscopes and other healthcare devices. They’ve been in business since 1971 and are headquartered in LA. 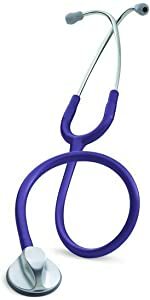 They are known for competing on price with Littmann. However they both provide roughly the same quality stethoscope. Depending on who you ask the reason why they can offer such a low price is because they manufacture their products in Asia. At the same time cheaper substitutes have been used by MDF where Littmann would maybe use a more expensive material. Mostly people have commented that the diaphragm quality is that of a cheap stethoscope and the bell part is plastic. A big benefit however of this stethoscope brands is their lifetime warranty and free parts-for-life program. See below how the MDF stethoscopes pare up to the Littmanns. One of the oldest stethoscope brands out there. Welch Allyn was started in 1915 and started originally producing medical equipment for eye doctors. Later in an effort to corner a bigger side of the market they branched out and started making top-notch stethoscopes. They are more of a top-line brand which shows in the price-tag. 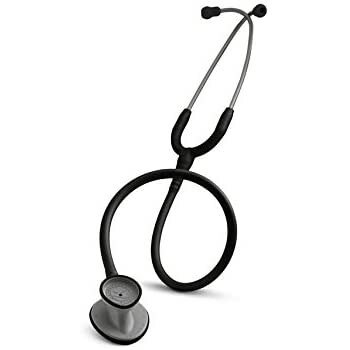 These stethoscopes usually go for between $100 and up to $250. However they do produce one-time use stethoscopes to run diagnostics on highly infectious patients. These can be thrown away after use as to not risk any further spread of infection. 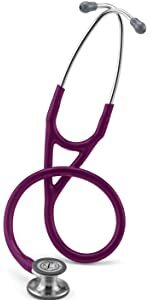 These stethoscopes obviously are not as costly as their regular ones and tend to go for less than $8. 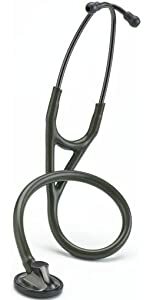 Although Welch Allyn focuses on producing stethoscopes for generalists, their line does include cardiology-grade stethoscopes. Because of this they have received a stable following of users in the medical field due to their catering to generalists. Particularly their Harvey and Elite lines are common due to their dependability and their relatively low price. Previous Article← Vintage stethoscope – Which one is Your favorite?